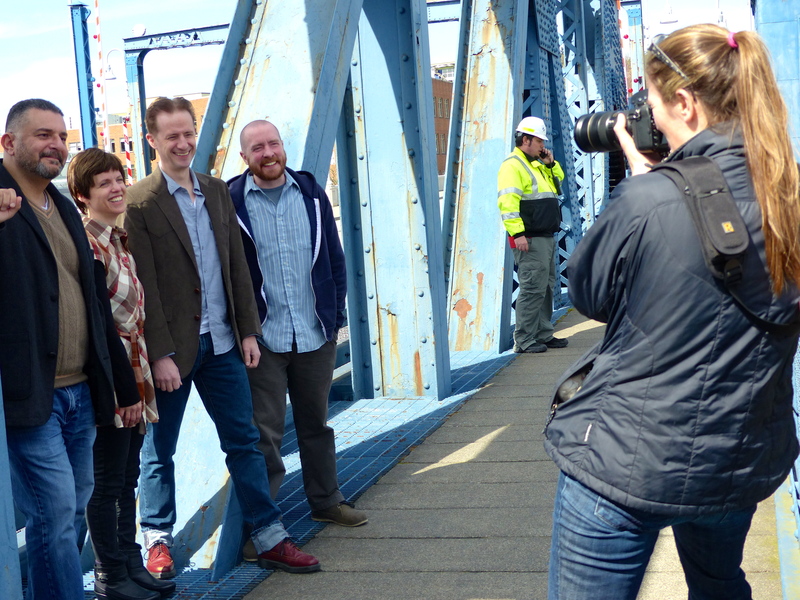 She put the playwrights through their paces and captured some terrific looks around Fremont. From the bridge, to finding funky murals, making them laugh their heads off, or dancing under the highway, photographer Ann-Margaret Johnson of Sassafras Photos gets her moment! To see the playwrights in action, click here. The Sandbox One-Act Play Festival proudly announces the actors for this year’s lineup: Megan Ahiers, Nik Doner, Sam Hagen, Sarah Harlett*, Robert Keene, Laura Kenny*, Leslie Law*, Jason Marr, Ben D. McFadden, Christopher Morson, Brian D. Simmons*, G. Valmont Thomas*, Kayla Walker, and Seanjohn Walsh*. Scenic Designer Dan Schuy, Lighting Designer Tristan Roberson, Sound Designer Evan Mosher, and Costume Designer Kelly McDonald. Ruth Eitemiller joins us as our fearless Production Stage Manager.